Mr. Chi-kuen Lau is an alumnus of the College of Liberal Arts. He earned his Master of Arts in Mass Communication in 1983. When he was a student at the University of Minnesota, he exceeded expectations by completing his degree requirements in less than a year. He later earned a graduate degree in management. Mr. Lau is currently the editor of the South China Morning Post, the leading English-language newspaper in Hong Kong. He has been a leading figure in the Hong Kong media for more than 20 years, starting as a reporter with the South China Morning Post, and in the 1990s, he established himself as an important commentator in a range of public policy areas for that newspaper. Mr. Lau rose through the ranks of the newspaper from general reporter, China reporter, education writer, to chief of staff. He has also taken on key leadership roles and was promoted to editor in February 2007. The Newspaper Society of Hong Kong named him the Journalist of the Year in 1986. Mr. Lau assumed responsibility at the South China Morning Post during a turbulent time at the paper and brought a sense of stability and direction. He played an important role as the most prominent Chinese journalist working for an English-language newspaper during the critical years of the handover of Hong Kong from British to Chinese sovereignty. Mr. Lau has the responsibility as editor to keep the public informed and advocate political reforms that a majority of the population wants. Mr. Lau has passionately dedicated himself to his work for the best interests of Hong Kong. He has served his community as a member of the board of the Newspaper Society of Hong Kong, and is currently vice president of the board. 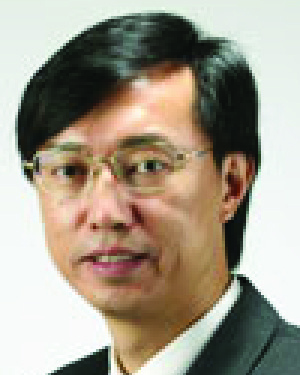 He is a member of the Journalism Education Foundation and the Hong Kong News Executives' Association. Mr. Lau has written extensively and authored the book, "A Hong Kong Chinese's View of the British Heritage," published by the Chinese University of Hong Kong in 1997. He also contributed to a chapter in "Education Reform and the Quest for Excellence: The Hong Kong Story." In naming Mr. Lau as a recipient of the Distinguished Leadership Award for Internationals, the committee cited his dedication to defending press freedom and his commitment to Hong Kong. He is recognized for his contributions to the field of journalism in Hong Kong by his belief in higher education and a sense of obligation to his fellow citizens.